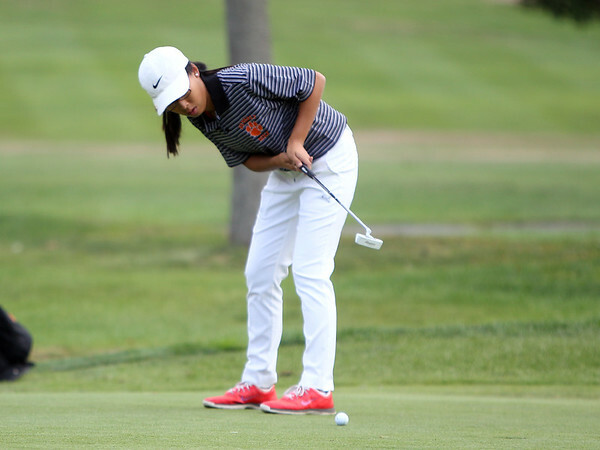 Beverly senior golfer Sarah Daley putts. DAVID LE/Staff photo. 9/18/18.